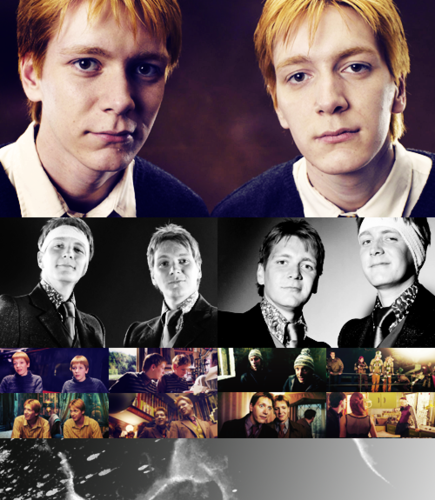 fred figglehorn and George♥. . Wallpaper and background images in the fred e george weasley club tagged: photo. 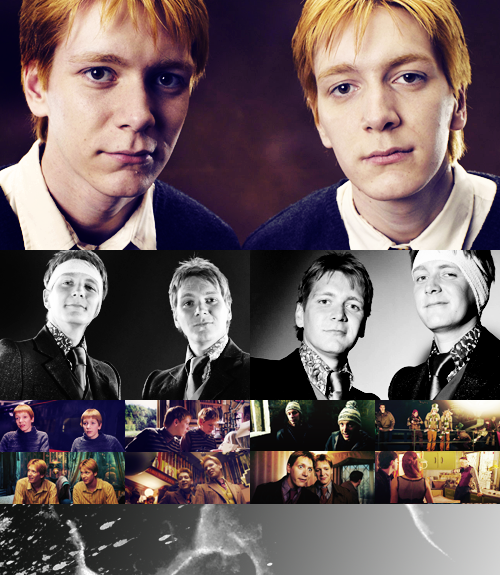 This fred e george weasley photo might contain traje de passeio, terno de negócio, retrato, headshot, close up, closeup, anime, banda desenhada, manga, desenhos animados, mangá, and quadrinhos.